Holding an intervention for a loved one who has history of abusing drugs or alcohol is often the push he or she needs to seek help for addiction. Interventions require preparation on behalf of all participants — especially those who will be making a statement during the meeting. Saying the right words in the midst of an intervention can mean the difference between disaster and success. Since emotions can run high during an intervention, a well-prepared and perhaps scripted statement or letter can help prevent angry outbursts or emotionally charged speech. It can also help the speaker remember what to say when nerves may otherwise get in the way. Before participating in an intervention, take steps to ensure your statement is as efficient and straightforward as possible. The manner in which you present yourself and approach a loved one with drug or alcohol addiction will establish the tone for an intervention. Always begin with loving statements that convey support and concern — not anger and anxiety. The dialogue within your statement should clearly communicate a message with no ‘grey areas’ that may be left open to interpretation. Avoid expressing anger or casting blame at any time during the intervention. Doing so will can disrupt the supportive atmosphere, ultimately causing an argument and even ending the intervention unsuccessfully. Memories are a shared experience and a foundation from which you can build your intervention statement. When you bring to mind a time that you both feel positive about, you reinforce the mutual bond you share with one another. Discuss a time devoid of substances. Include a time when you were proud of your loved one or even a time when they were able to help you. Emphasize your longing for more memories in the future. 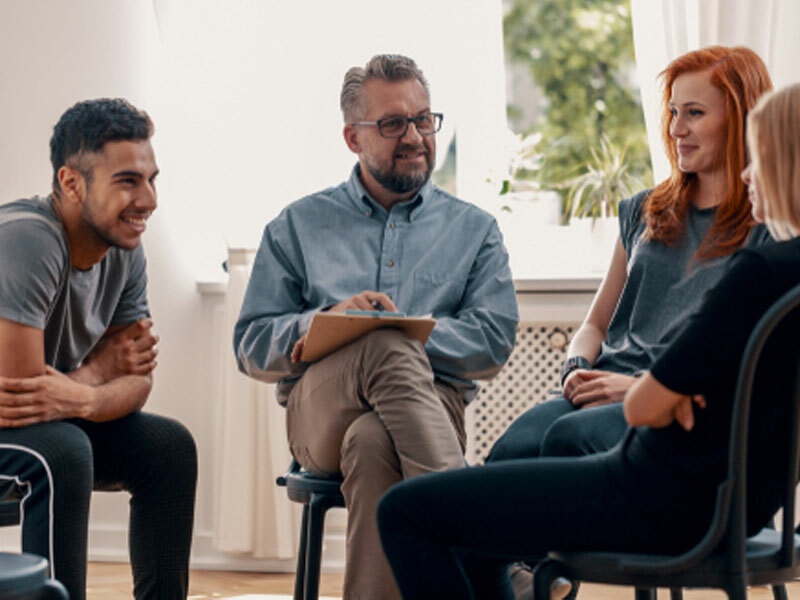 Individuals participating in an intervention should give only first-hand accounts of their interactions with and feelings about the person and their history of substance abuse. Never speak for others even if you have spoken with another person about the problem prior to the intervention. The person being addressed should never feel as if he or she is being teamed up on, as this could trigger feelings of mistrust and self-defense. By speaking only for you, the dialogue is limited to one-on-one conversation. In addition, speaking for someone other than you generates hearsay, which is easy to argue against. Instead, give clear and specific examples of your interactions with your loved one. Include your observations of how substance abuse has affected him or her and in turn, how it may have negatively affected you. Despite your best efforts to avoid stirring angry emotions, remember that your loved one may still display a negative reaction to your attempts to confront substance addiction. Your loved one may respond with accusatory statements or hurtful words, perhaps to pick a fight. Avoid responding, instead keeping the focus on the facts. Perhaps the most important statement made during an intervention is not a declaration, but more of a request. You must clearly state your desire for the person to get help. Reiterate that your request is spurred only from feelings of love and concern, rather than anger and opposition. Be confident in your request, and remember that you are an important part of your loved one’s life — otherwise you would not be in attendance. After you have asked your loved one to seek help, give him or her the option to enter treatment right away. As uncomfortable as it may be, you must state the consequences of refusing treatment. The ultimatum may be the most difficult part of an intervention, but sometimes it is also the most effective. For a grandparent, this may mean facing a world without visitation with young grandchildren. It may even mean sacrificing close relationships with family and friends. Whatever the consequences may be, it is important that all intervention participants are in agreement.